Why United Home Roofing for your home roofing needs on the south shore? Investing in home improvements can be a big expense. Before you sign a contract, you’ll want to make sure you have done your homework! Located in Southeastern Massachusetts, United Home Roofing has over 36 years of exterior remodeling experience serving the roofing and exterior remodeling needs in Southeastern Massachusetts and Cape Cod. 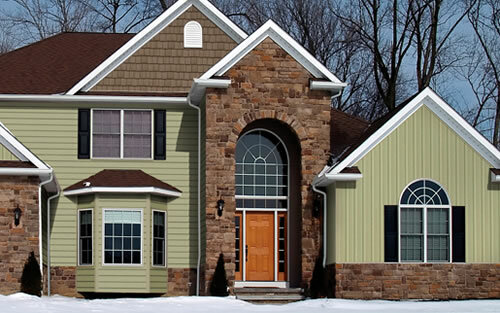 We are licensed, insured, and certified in roofing, siding, window, and gutter contracting. United Home Roofing and exterior remodeling is happy to consider your needs when working with your home. We also are experts in seamless aluminum gutter work. Made from the heaviest aluminum available .032 gauge. Manufactured at your door to exact lengths. Maintenance free, no scraping, no painting, no peeling. Also we specialize in removing wood gutter and repairing rotting fascia boards(the board behind the gutter) . Also any other rotted trim, rake boards( the boards along the roof). Complete soffit rebuilds and complete ventilation systems for attic breathing to stop ice dams and summer heating backup reducing the life of your roof, we can also help you with any problems drainage issues from water removal from roof and gutters. We use GAF and CERTAINTEED asphalt shingles usually. We also install all kinds of ventilation for your home. We are going to inspect your attic fro any problems when we do you roof estimate. In a nutshell, roof ventilation requires air intake vents at the bottom of the roof and exhaust vents at the top. The generally accepted minimum roof ventilation requirements are 1 sq foot of vent opening for every 300 sq foot of ceiling area when the vent opening areas are distributed equally between the soffit and the ridge(bottom and top). 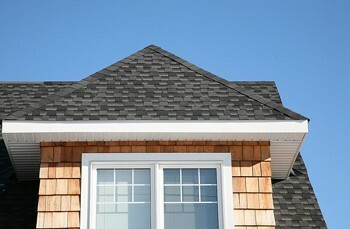 The most common problem with inadequate roof ventilation is shortened shingle life. In addition to hastening shingle deteriorate, excess heat increases cooling costs. High Attic heat will move toward the inside of the house and require the cooling equipment to run longer and work harder. Inadequate ventilation also increases the likelihood that ice dams occur on cold sunny days when the sun melts snow on the roof, then melts snow freezes when it passes over the eaves overhangs. This happens because any heat inside the attic make the shingles on the main part of the roof warmer than the shingles on the overhang. on sunny days in winter, heat can build up in poorly ventilated roofs and start the thaw/freeze cycle. good attic ventilation keeps the roof cooler and reduces the likelihood of ice dams forming. Don’t forget about bath vents, dryer vents and recessed lights , they can all send heat and moisture up into your attic that has to be vented out into the atmosphere so it can’t condense on attic surfaces where it will cause rot and mold. We install intake at the soffit. Rectangular or round soffit vents, continues strip soffit vents or ventilating drip edge. Also, at the top we install ridge vents, mushroom roof vents, gale end vents, roof turbines, and electrical powered roof vents with fan.